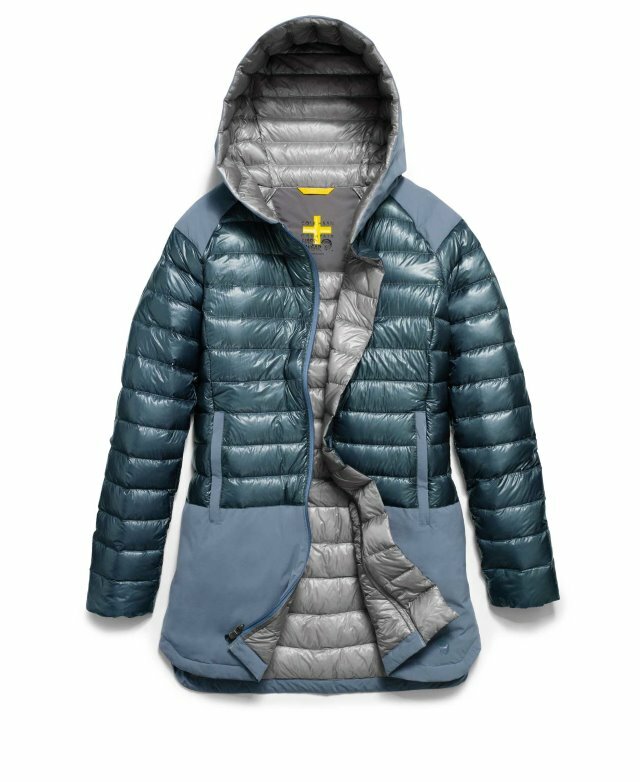 US retailer Cole Haan has teamed up with high-performance apparel brand Mountain Hardwear in a multi-season partnership, creating the ZeroGrand Outerwear collection. Launched this week, Cole Haan has released a campaign featuring mountaineers Cheyne Lempe and Angie Payne scaling New York skyscrapers, photographed by Alan Clarke. The new range features six outerwear pieces and one backpack. 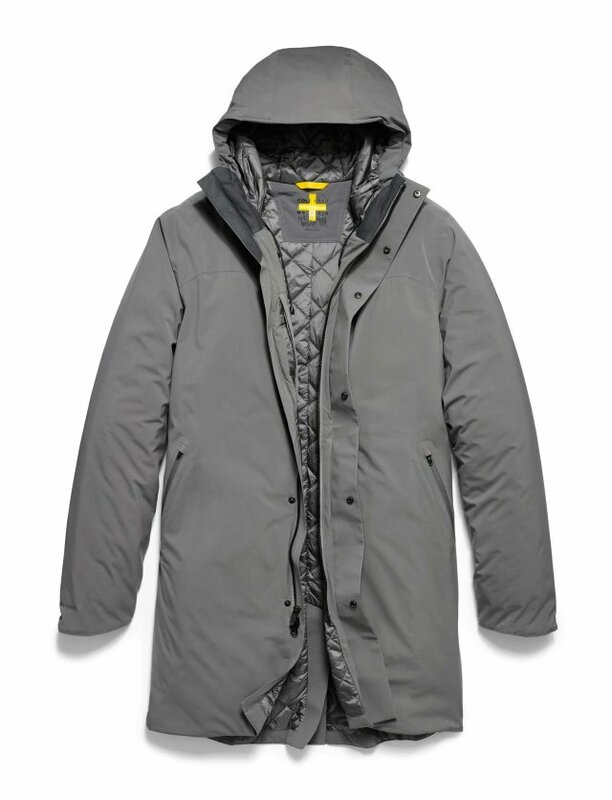 The women’s styles are the ZeroGrand Funnel parka, Down jacket and Metro coat while the ZeroGrand Commuter jacket, Trench coat and Motoring coat are offered in the men’s range. 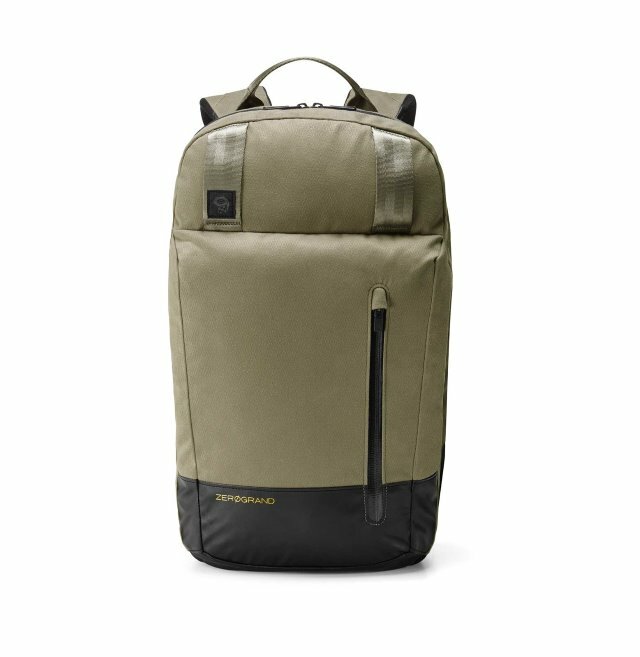 The ZeroGrand Commuter pack features a black-out pocket with composite aluminium sheathing to prevent electronic transmission, meant to keep devices protected both literally and virtually, making them hacker-proof. It also features an internal and external umbrella stash and a removable waterproof bag within. The same fabrics and insulation that Mountain Hardwear uses for its core range are adopted here, although the design and construction are for the fashion, not outdoor, market. Mountain Hardwear’s lightweight, waterproof and breathable Dry Q Stretch Ozonic shell fabric is used along with 800-fill Q Shield water-resistant down and Thermal Q Élite, a proprietary synthetic insulation. Additional items bearing the ZeroGrand name made by others include the X Blunt XS Metro umbrella, the X S’well water bottle, and the X Fisher Space Pen. Footwear and a women’s Stagedoor handbag collection complete the range, which hit Cole Haan stores, including its website, on Tuesday. Mountain Hardwear will also retail the Outwear range through direct-to-consumer sales in the US.